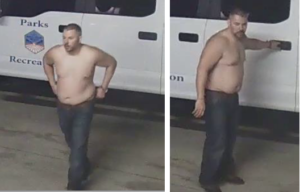 The Palm Beach County Sheriff’s Office is seeking the public’s assistance identifying a suspect WANTED for stealing a valuable chemical sprayer. The unknown male is captured on surveillance video inside the Village of Royal Palm Beach maintenance compound. 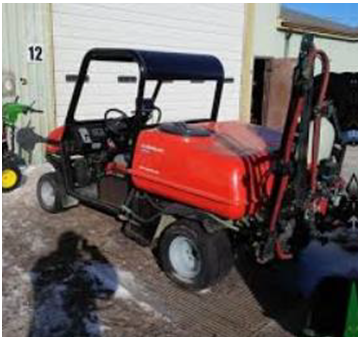 This unknown male suspect helped himself to a 2003 Cushman Chemical Sprayer valued at $3,000. This incident occurred April 7, 2019 at 4:15 am. The Village of Royal Palm Beach maintenance building in located in the 11800 block of Poinciana Blvd, RPB. ← The Palm Beach County Sheriff’s Office is seeking the public’s assistance identifying a suspect WANTED for burglary to a vehicle in unincorporated West Palm Beach.